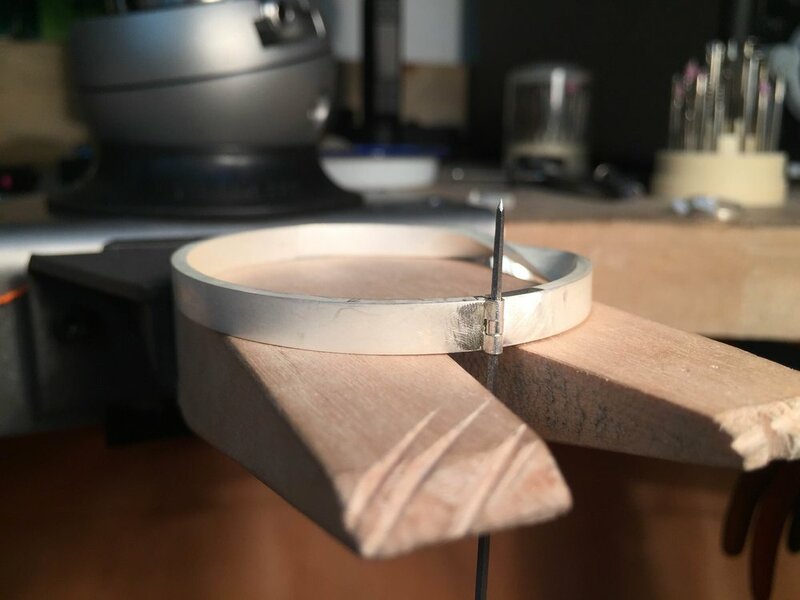 This course will allow you to make a hinged bangle with a shutting mechanism (a variety is available to choose from depending on your design). 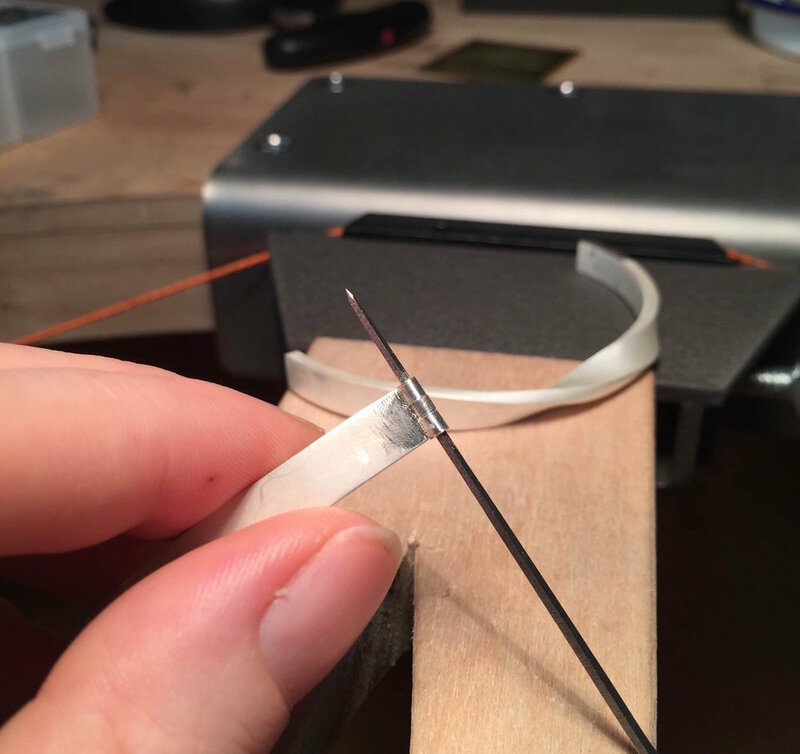 You will prepare the metal, roll the metal and create your own design of bangle. The emphasis is on attention to design and execution of accurate work. 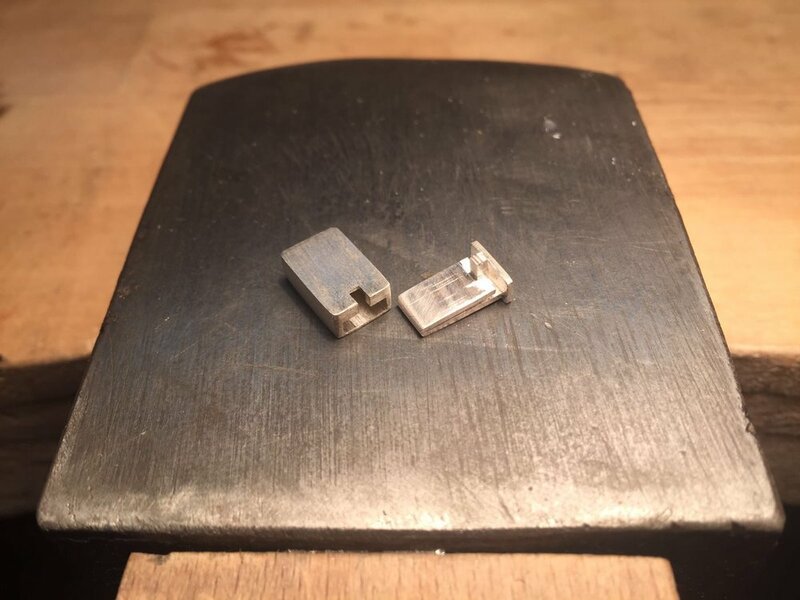 The mechanisms teach you a finer understanding of jewellery making. Introduction to silver melting and pouring. 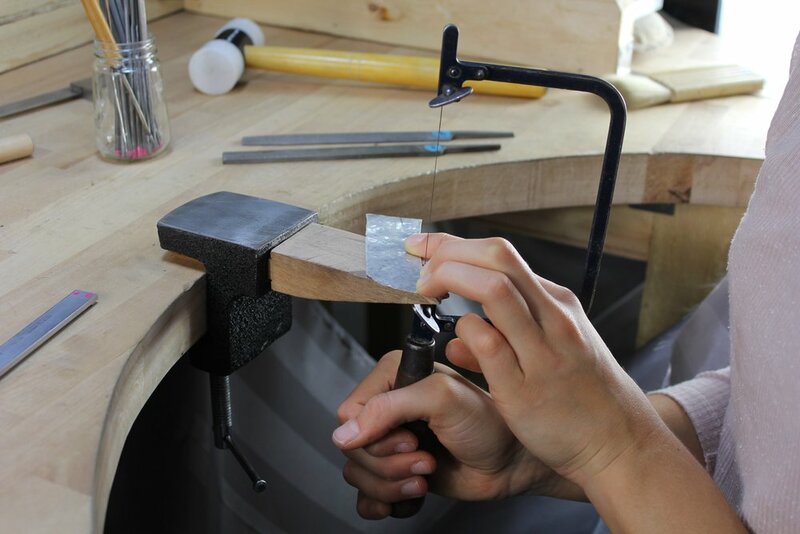 Rolling the silver and understanding the processes of shaping the silver. Safety chain and or mechanism.